Amino AcidsTrec AminoMax 6800 - 30 kaps. Trec AminoMax 6800 - 30 kaps. 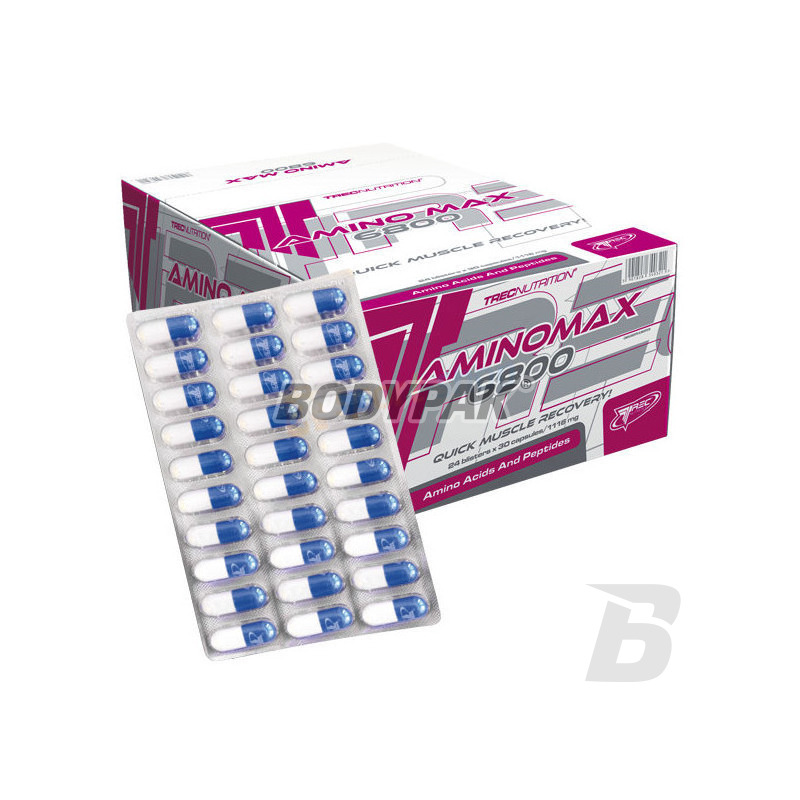 AminoMax 6800 is a product designed to quickly supplement amino acid deficiency which occurs following an intensive workout and as a result of insufficient protein intake. 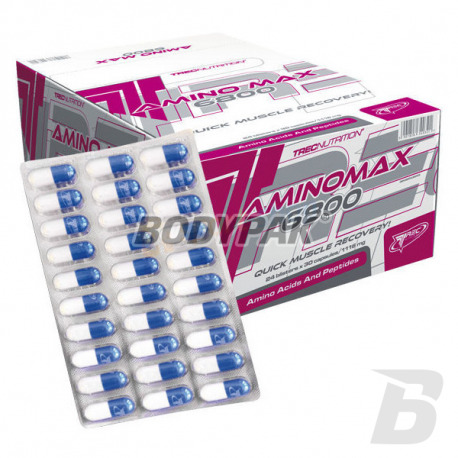 Trec AminoMax 6800 contains a complex of amino acids and micropeptides obtained from the best form of protein - hydrolysed whey isolate, which has been additionally enriched with branched chain amino acids BCAA, L-glutamine, taurine and vitamin B6 and vitamin C.
AminoMax 6800 has been prepared in the form of practical gelatin capsules so that all the necessary ingredients at a very fast pace are introduced into the bloodstream thus aiding in a series of reactions accelerate the regeneration and reconstruction of damaged muscle fibers. 8 capsules immediately after training. Ingredients: hydrolysed whey protein concentrate , capsule - gelatin (A) * / cellulose (B) *, magnesium stearate - anti-caking agent, taurine, l-glutamine, vitamin C (L-ascorbic acid) , vitamin B6 (pyridoxine hydrochloride). * See symbol in front of lot number. Cały kompleks aminokwasów zawarty w jednej kapsułce - bardzo wygodne rozwiązanie za niewysoką cenę, super! A high concentration of L-lysine in the form of capsules. This is one of the 10 amino acids commonly considered necessary, which can not be manufactured by the body! Supports the immune system and helps fight stress!